Shopping centres and malls are a challenge for pest controllers due to the wide variety of items stored there, the large open areas, long opening hours and the need for a discreet, inconspicuous service so as not to detract from the relaxing, welcoming consumer-friendly environment. At Javelin, we understand the unique challenges faced by malls in Myanmar, so that our products and services are tailored to your needs. Our technicians have a broad knowledge of the different types of pests encountered in malls and are able to offer solutions to even the most complex and persistent pest problems. The presence of pests can damage the reputation of your outlet as well as the products your are trying to sell. This can lead to a loss of good will from your customers. Rats gnawing into packaging can damage stock, contaminate food items and negatively impact your balance sheet. Rats gnawing through electrical cables and wires can lead to fires and substantial damages. Flies can easily enter food courts and eating areas through doors and windows and are a sign of uncleanliness. Mosquitoes in dining areas can make for a very uncomfortable customer experience and the potential contraction of the Dengue and Zika virus. Rats and mice are often seen darting along walls and around drains. They gnaw through cables, and can spread diseases such as leptospirosis. With an Integrated Pest Management approach, your Javelin service team will detect, assess, treat and monitor any pests for long-term protection. We use a range of tailored solutions, including hygiene and proofing advice, spraying and gelling in the most targeted applications to avoid the risk of potential food contamination and customer health issues. 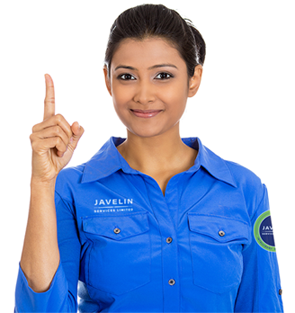 Javelin is acutely aware of protecting your reputation and ensures that the presence of both our technicians and of any equipment installed is as subtle and effective as possible. We have a range of modern Insect light Traps (ILT’s) and monitoring stations that we can install in your food courts to minimise their visual impact. Mosquitos can cause great irritation when customers are shopping and any pest, such as a cockroach and rodents, seen in your shop or shopping mall will reflect badly on your management and the overall customer shopping experience. We have a number of different solutions for mosquitoes including thermal fogging, larvaciding and ULV treatment. For inside areas, our pioneering Mozzoff repellent treatment can prevent mosquitoes coming inside and offers 24 hour protection for 1 month. After a detailed inspection, a combination of IRS (Internal Residual Spraying) and Gel baiting treatment would be administered to eliminate the infestation as quickly as possible. Post treatment, monitoring devices will be deployed to monitor activity to detect a re-infestation at as early a stage as possible. Solutions for inside spaces, such as shops and lobbies, can be both targeted and comprehensive. Our surveyors will be happy to discuss options and budgets and come up with the most appropriate solution to fit your needs. Rats, mice and cockroaches are often seen scuttling around waste sites and drainage systems. Living in these unsanitary areas means these pests pick up bacteria and disease, which they can then carry into your premises. Solutions for outside spaces, such as car parks and gardens, can be both targeted and comprehensive. Our surveyors will be happy to discuss options and budgets and come up with the most appropriate solution to fit your needs. We have a number of different solutions for mosquitoes including thermal fogging, larviciding and ULV treatment. For outside areas, a combination of thermal fogging at peak activity times, ULV treatment and larviciding will be administered to target all stages of the mosquitoes’ life cycle. The application of anticoagulant rodenticides in secured bait boxes and/or snap-back traps and sticky boards (where appropriate) along the premises’ perimeter fence and exterior walls to safely achieve a rapid reduction in rodent numbers. There are many other pests from snakes to fleas that can cause problems for your business. Termites can cause substantial damage to buildings, furnishings and fittings and pose a very real threat to many buildings and structures.